3in1! 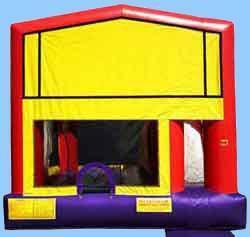 Inside is a 12ft slide, a jumping area, and a basketball hoop. Sorry balls are not included.